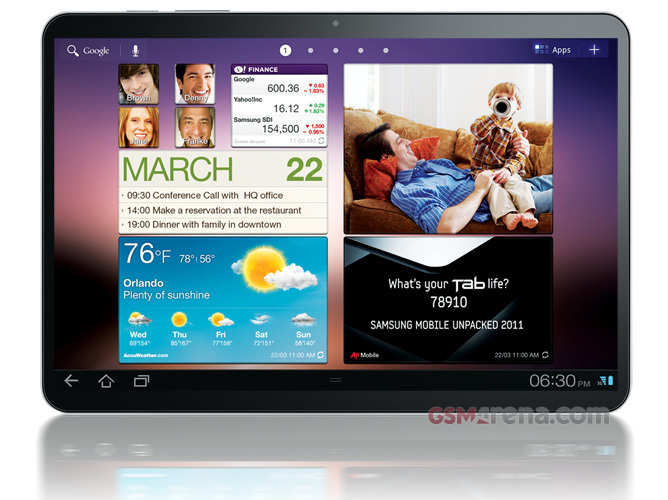 Samsung Galaxy Tab 11.6 with a 2560 x 1600 pixel screen coming tomorrow? There’s a particularly juicy rumor for you – we might see the official announcement of the Samsung Galaxy Tab 11.6 slate tomorrow. The tablet, which is said to feature an 11.6″ LCD with the insanely sounding resolution of 2560 x 1600 pixels might be unveiled at the SXSW event in Austin, Texas. The rumor is based on an unnamed source close to the matter, who confirmed to Pocket-lint that the Samsung Galaxy Tab 11.6 will be announced at an even in Texas. The Korean company mentioned earlier that it will be making a “special announcement” at the event tomorrow and the rest is simply a matter of connecting the dots. On the surface, those rumors seem plausible – Samsung would like nothing better than getting one back at Apple and topping their latest slate with a more attractive offering. If previous rumors are to be believed, the Galaxy Tab 11.6 will feature an Exynos 5250 chipset with a 2GHz dual-core CPU using of the new, more power-efficient, 32nm generation, so it will probably do the job. However, these specs seem more like a wish list to us and it’s hard to believe that we are just a day away from getting them on an actual product. And even if Samsung has already developed such a product, it would be quite revolutionary and we imagine they will organize a dedicated event for its announcement and not unveil it at a minor event like this. Plus, we already got a confirmation that Samsung and Rovio will reveal Angry Birds Space tomorrow at the SXSW. So, while we’d probably be as happy as anyone to see the rumor come out true, we have to advise against taking it too seriously.